Kerri Arista: Saving and Still Supporting! I love me some Starbucks. I've never had a drop of coffee. So it took me awhile to jump on the Starbucks train. But many years ago, Mom introduced me to the Chai tea and I became a believer! But, I have Type 1 diabetes, and although I loved the Chai teas, my blood sugars surely did not. 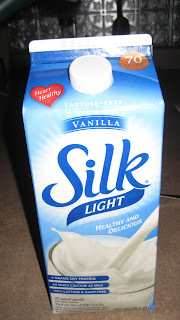 So over the years, I've figured out how to have something similar to that sugary concoction, but without all those carbs, and saved myself some money in doing so. I started ordering a steamed soy (heated at 175*F-- Yes, I'm that obnoxious!) with a chai tea BAG. I love it, love it, love it. I love it so much, that I can easily fall into the habit of feeling I need to go to Starbucks everyday! In the past, I've tried to replicate this perfection at home, but I've never even come close. And the main reason why??? I love the frothy-ness that Starbucks is able to achieve, that I have not been able to. One day, as I told this to a Starbucks baristo, (I think that's the correct gender word for a male barista, right?!) and he told me his wife had recently bought a "frother". We didn't know if that was the correct word, but we both knew what we were talking about in using our possibly made up word. I got online, found one for sale at Crate and Barrel for only $19.95. I bought the frother, or in my brand's case, the aerolatte, vanilla soy (and I got the lite version! yay! 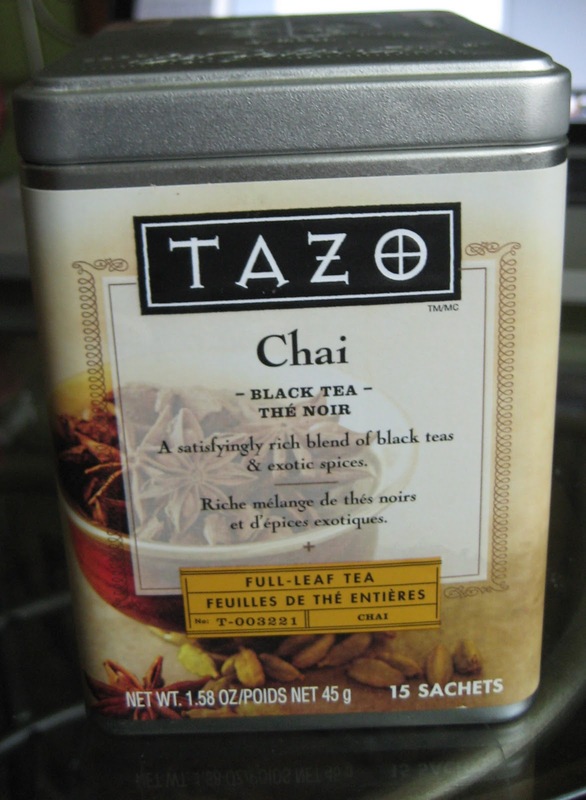 ), and Tazo "full leaf tea bags" of chai- from Starbucks-- because I can't abandon them completely!!) And it's pretty damn good! Now I can save a little extra cash and make my tea, very much like Starbucks so perfectly does, from the comfort of my own home. My new rule for myself is I will only go to Starbucks if I'm going with a friend, or if I'm going to drink it in the cafe and do something productive. 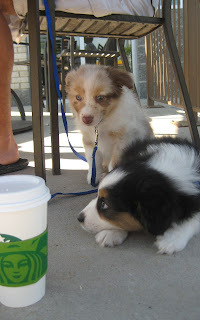 My best friends with me at Starbucks! Coffe with friends is the BEST!!! OH I'm so excited have a frother from Ikea. MY kids use it for chocolate milk or iced tea.... I'm going to try this pronto. I also love starbucks shaken passion fruit iced tea thats all frothy. Me too, I'm you diabuddy I'm type 1 too. Kerri, I have been making my own cappuccino at home for many years. Seriously, it's the highlight of my day! I have it down to a science (after much experimenting...)and I have a treat with it (like a scone), then take my ipod and journals out on the deck and enjoy!! As soon as I read this, I was thinking... She has to get an electric frother! Phew. I'm glad you have one. What a great idea to make this for yourself at home! Yet another reason we've connected! With the exception of the occasional mocha frapuccino, I always order the chai. Just finsihed one, in fact. I like the idea of having a frother at home though--would definitely save me some money. Thanks for the tip! I am a chai freak. I always order whenever I find myself at a coffeeshop, be it Starbucks or otherwise. There is a restaurant not far from my house with a tea shop attached and they have several different kinds of chai. I love trying the different variations. I buy them loose, take them home, and brew my own with a bit of soy and agave. I am coveting your little frother though. I have been missing out with my at-home chai. I so love your specialty chai combo - and perfect on ice!